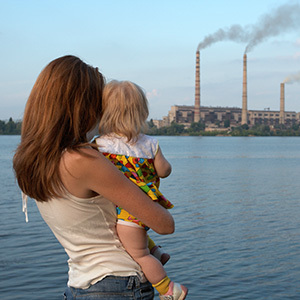 Pollution from smokestacks is putting American communities at risk. The power plants responsible have already installed pollution controls that can help — they’re just not using them effectively. That’s why Maryland joined with other downwind states to petition to EPA to do its job and enforce its “Good Neighbor” protections under the Clean Air Act that tackles this problem — but EPA is stalling on taking action. Time is running out: Tell Acting Administrator Andrew Wheeler to step up, do his job, and protect public health. I am writing today to strongly urge you to enforce the EPA's "Good Neighbor" Provision. EPA's proposal to deny Maryland's petition seeking relief from upwind polluters is deeply flawed and endangers both downwind and upwind communities that live in the shadow of these polluting power plants. These communities afflicted by coal plant smokestack pollution deserve relief from ozone pollution and requiring plants to fully utilize already installed pollution controls is a cost-effective, common-sense remedy. We are in the midst of the summer ozone season when poor air quality can be at its most dangerous levels and puts people's health -- especially the health of children, the elderly, and those with asthma -- at risk. Pollution impacting local communities and crossing over state borders only exacerbates the problem, and leaves those downwind states without any recourse to help their residents. Yet these coal plants have already-installed pollution controls on their smokestacks meant to lessen the negative effects to air quality in communities and states downwind of their plants; they're just not turning them on fully. Please enforce the reasonable and common-sense "Good Neighbor" Provision, and protect public health and vital ecosystems threatened by this dangerous smokestack pollution.